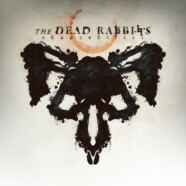 The highly anticipated return of the Dead Rabbitts is finally here. The band released their Tragic Hero Records debut full length, “Shapeshifter” back in 2014 and is excited to premiere the first track, “Dead Again” off their upcoming album ‘This Emptiness’. “Dead Again” is available on all streaming platforms (Spotify, iTunes, Bandcamp, Google Play,Amazon Music, SoundCloud) and pre orders for ‘This Emptiness’ will be available on 2/14.